There’s nothing like watching a baseball game at a ballpark. The sun’s shining, the crowd’s cheering, and normally to complete the picture, you’re eating a hot dog and drinking an ice cold beer. I have always been a big baseball fan and I love watching the Toronto Blue Jays. Growing up I’d go to the Jays games with my Dad and we’d always get a sausage from our favourite street meat vendor outside the stadium. I still go to several Jays games at the Rogers Centre (forever the SkyDome) each season, it’s just that since being gluten free, my food and drink options are different…but it doesn’t make the game any less enjoyable. Usually I bring my own gluten free snacks to the ballpark or I pack a dinner to bring if I go to a weeknight game straight from work. 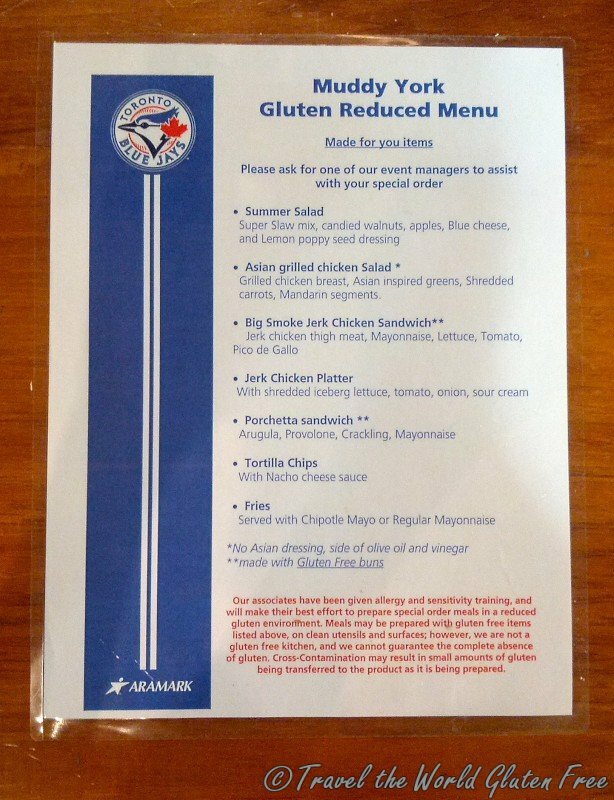 But recently, I’ve also been doing some research to discover other gluten free options at the Rogers Centre. I hope these tips help you enjoy the rest of the baseball season! 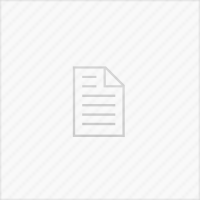 There is some information on the Blue Jays’ website about special dietary requirements. 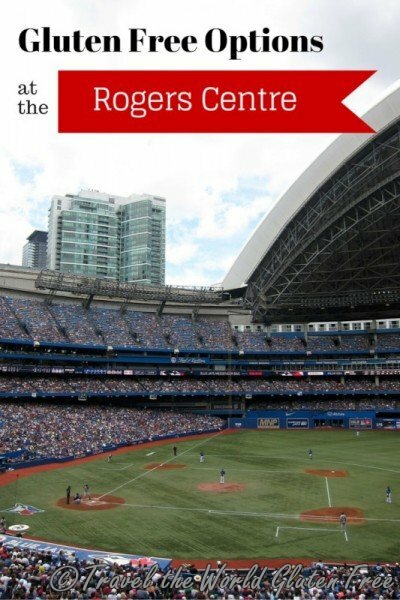 It’s only a brief overview though, so I took the liberty to walk around the Rogers Centre when I was at a game last week to speak to different vendors to gather more information about the gluten free options available. Here are my findings. 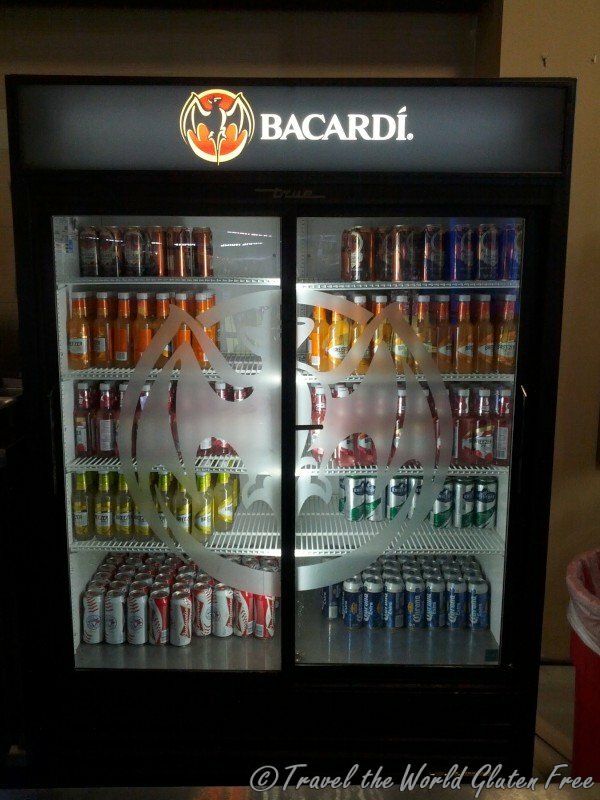 There are also Bacardi drink stands throughout the stadium and some concession vendors sell them so you can easily get a bottle of orange or strawberry flavoured rum drink. The Muddy York Market at section 109 is your best bet for gluten free food options. 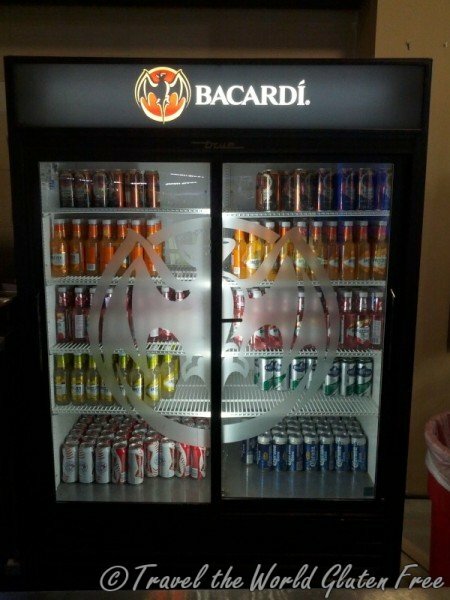 They have many convenient snack foods to help satisfy cravings while watching the game. The Muddy York Market at section 109 also has a “Gluten Reduced Menu”. What’s a gluten reduced menu you say? Well, I had the same exact thought. What the hell is gluten reduced. 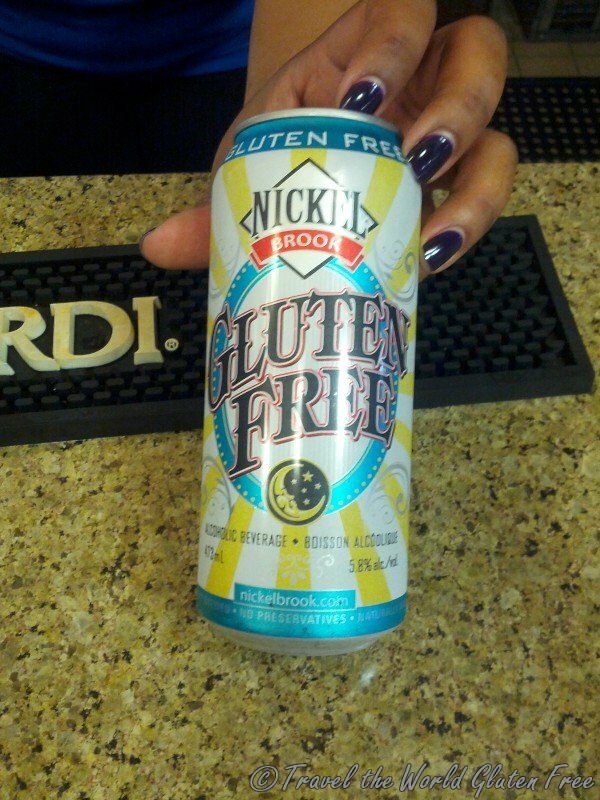 I’ve heard of “gluten friendly” before but never this. So of course I asked the staff. The response from the young candid guy I spoke to was that it was a litigation thing. Apparently other stadiums in the US have offered gluten free options, but because of cross contamination some patrons got sick and sued them. For that reason, they can’t guarantee that everything is safe from cross contamination. He said the ‘safest’ options are the sandwiches which are served on a gluten free bun that they keep frozen and thaw out separate from the other foods. Ultimately, it means eat at your own risk. Personally, I didn’t get the feeling that it was safe to eat here and I for one (knowing how sensitive I am to cross contamination and how I don’t want to chance the risk of being sick for days) will not be eating from this ‘gluten reduced menu’. I will stick to bringing my own foods, eating the packaged gluten free snacks available at the Rogers Centre, and going out for dinner before or after the game at some of the great locations that do offer gluten free meals. There are several restaurants with gluten free options located within a couple blocks of the Rogers Centre. These are great places to meet up at ahead of the game or to continue the party at after the ball game. Boston Pizza is located at Front and John. It has really good gluten free pizza with more of a flatbread crust. It’s very good, probably my favourite gluten free pizza in Toronto (bonus there are no gums in it). 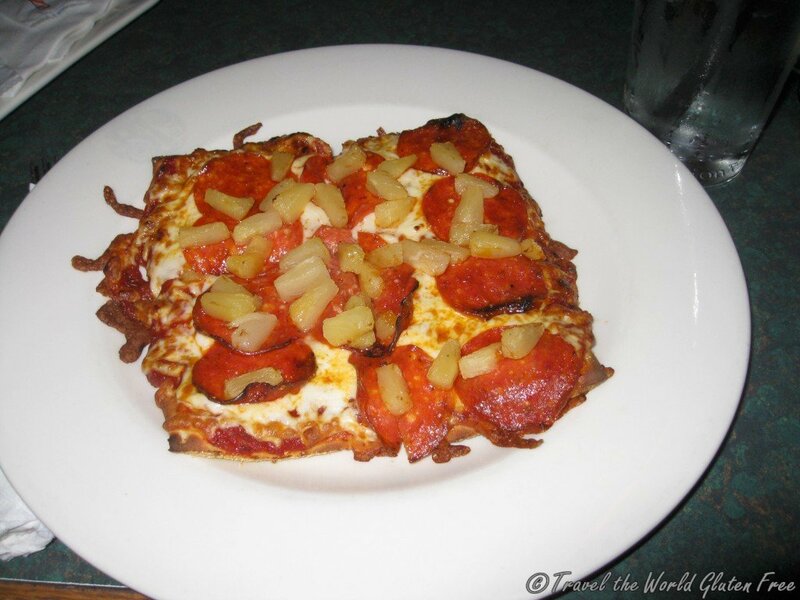 There’s a list of the gluten free toppings, as well as gluten free pasta options available. Milagro Cantina is a Mexican restaurant located at Mercer and John. 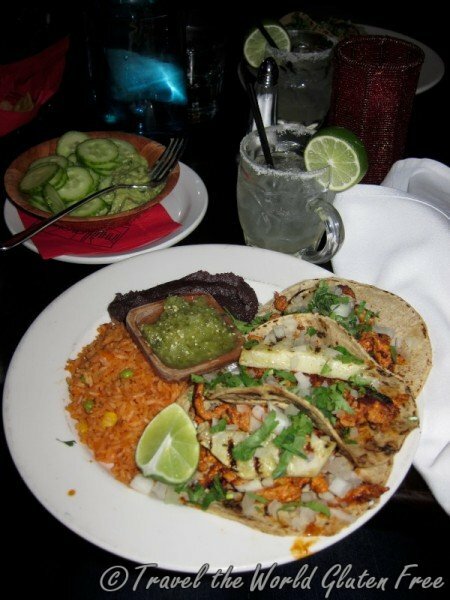 It has a lot of gluten free options like my favourite tacos al pastor and of course margaritas. Its guacamole is really good but since the corn chips are deep fried and have a chance for cross contamination, the staff always gives me sliced cucumbers to dip in it – surprisingly refreshing and delicious. 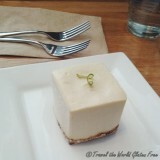 Milagro also has naturally gluten free flan for dessert. Baton Rouge is a steakhouse located at Front and John. It’s a fancier restaurant with a gluten free menu with items like salads, chicken, steak, and ribs. There is also a lighter lunch menu available. Longo’s is a grocery store chain with a convenient location in Maple Leaf Square. It has a small TV area with tables to hang out in and eat the food you bought. While you’ll have to stay clear of the pre-made foods, there are many quick foods that you can grab to bring to the ballpark. Things like yoghurt cups, granola bars, fruit, nachos and salsa. 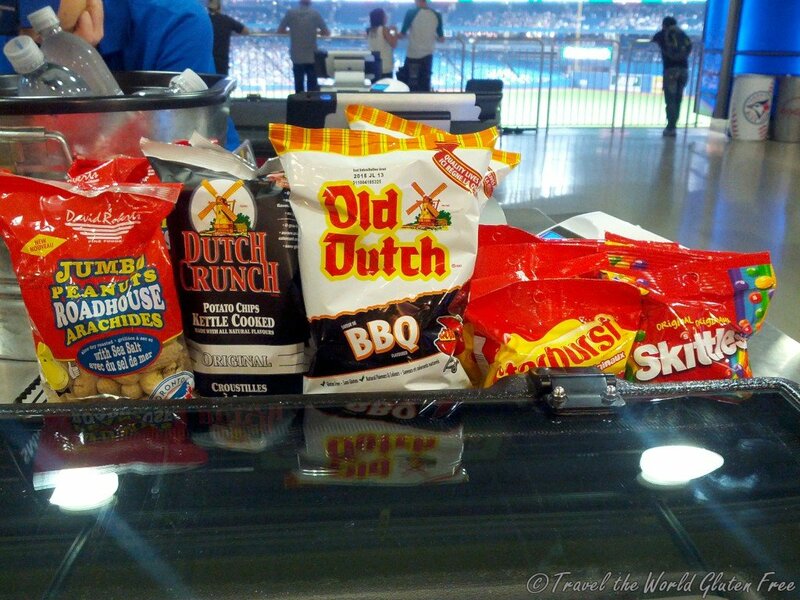 What are your favourite foods to bring to the ballpark? 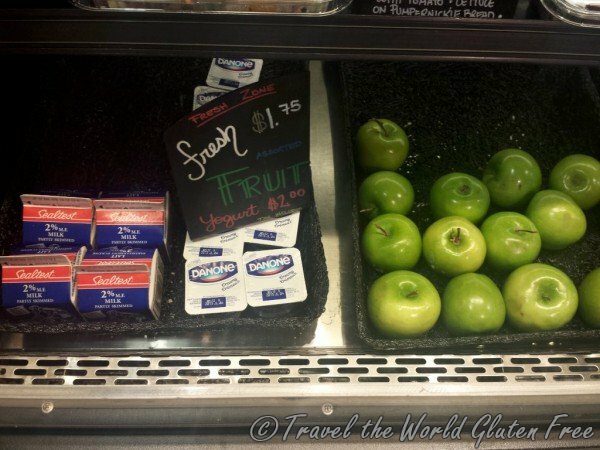 Have you had any great gluten free options at other sports stadiums before? My name is Quinn. I am an avid traveler and have backpacked across South East Asia and Europe. I am grateful to have already traveled to 30 countries. I also enjoy road trips, camping, photography and I LOVE food. 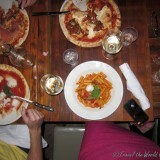 In April 2010, I discovered that I had a severe gluten intolerance. I have since also gone soy free, guar gum free and I heavily limit my xanthan gum intake.